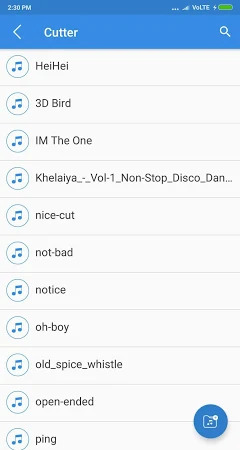 MP3 Cutter for Ringtones. The most powerful and complete Audio Editor! It has all the features you would ever want in an Audio Editor to make your own choice's ringtone. ! 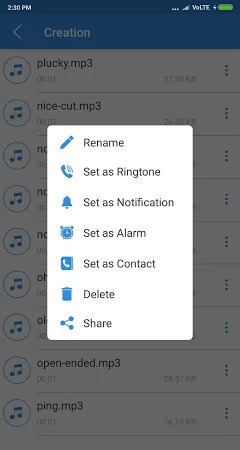 Mp3 cutter (ringtone maker) used to create custom new ringtone for your self. Cut the best part of your audio song as per time duration or as per your choice by dragging. The download of this application doesn't contain viruses or any kind of malware. The app is developed by iApp Inc. and its category is Music & Audio. The overall user rating of MP3 Cutter is 4.2. Over 10K users downloaded the tool and the most recent update was launched on Apr 9, 2018. 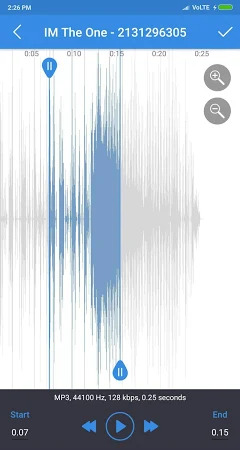 There are adverts in this application. 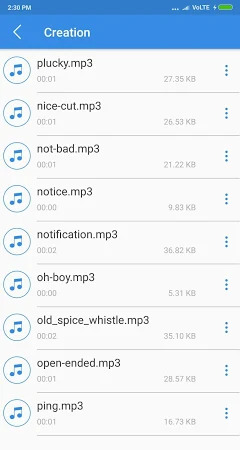 Take the opportunity to download the installation package of MP3 Cutter 1.3 free of charge and read users' reviews on Droid Informer. The app is designed for Android 4.0 and higher. Get free super cool digital ringtones for your Android smartphones! Do you want new iPhone ringtones? IRingtones for android is best app for you. Do You Want Some Relaxing Sound For you?